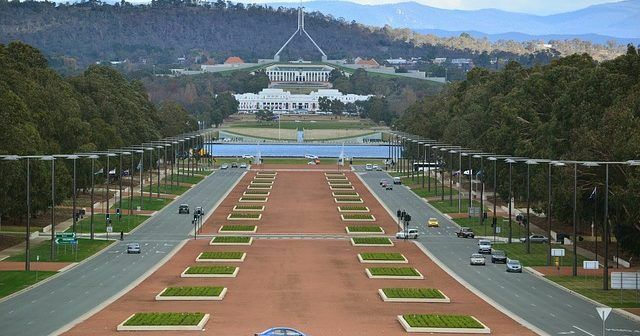 Though Australia’s largest inland city, Canberra only has a population of 356,000 people making it one of the smallest state capitals. Despite its diminutive size, the gambling scene in the city is pretty active and you can find places to play poker, bingo and catch some live racing with TAB facilities. In addition, the city has a casino (albeit a small one by comparison to cities like Melbourne, Sydney and Adelaide) and plenty of clubs and bars where pokies are popular. In this guide, we take a look at gambling in Canberra including the local laws, best venues to hit up and some stats on what kinds of punting is the most popular. 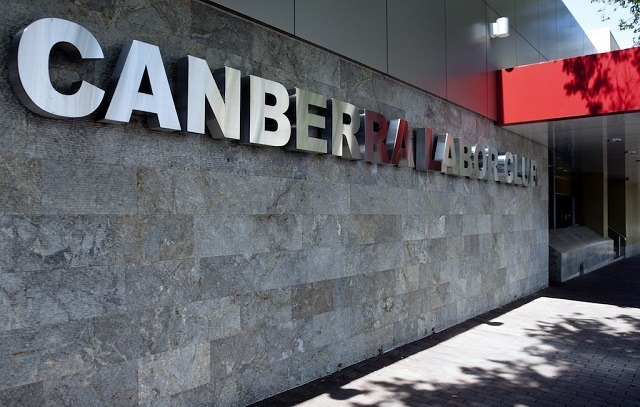 Gambling in Canberra is governed by the ACT Gambling and Racing Commission who regulates casino and gaming machine licenses as well as lotteries, sports and race betting. Punters who are over the age of 18 may place bets using licensed machines, venues and bookmakers, play lotteries such as the Lotto and Keno and participate in cash prize bingo games. The Commission is an independent body established under Section 5 of the Gambling and Racing Control Act 1999. With the exception of Tasmania, it is no surprise that the total gambling turnover for the ACT is the lowest in Australia. Generating an annual spend of $2.5 billion, the runaway most popular form of gambling comes from pokies representing 87% of this annual figure. The ‘pokies’ are by far and away the most popular form of gambling in Canberra. Image via Flickr. Along with much of Australia, governance of wagering in the city has come under scrutiny over the last decade to help try and combat problem gambling. Recent statistics show that Canberra’s community of hard-gamblers has decreased in recent years and an estimate of just 0.4% has been placed on the population who this addiction affects. In all honesty, local gambling in Canberra is centred around recreational wagering on EGMs, the lottery and bingo with some race and sports betting. However, the city’s proximity to Sydney means that many high rollers and serious poker players attend events or the casino on the coast. A three hour drive, you can find out more about the gambling scene in Sydney with our full guide. Just like in other state capitals, there is only a single license permitted for casino operations in Canberra. A small casino which can lack atmosphere mid-week, the Casino Canberra is not the most ‘Vegas’ of gambling venues. Image via Wikimedia. 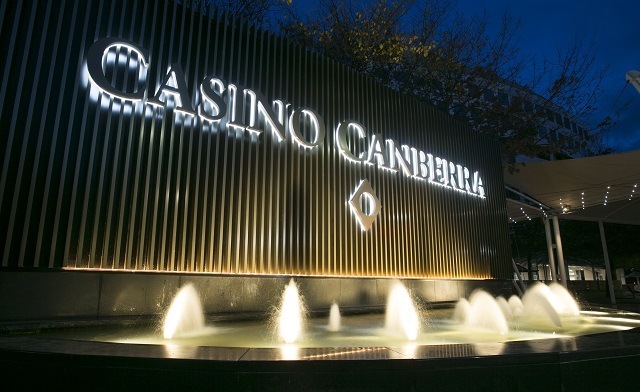 Opened in July 1994, Casino Canberra’s name isn’t the most inspired in Australia nor is the venue itself. Small by comparison to other state capital casinos, the license is operated by The Aquis Group, and is the only establishment in the ACT where you can play table games. The complex lacks the leisure facilities enjoyed by other casinos in the country and only has 39 gaming tables. However, there is a sports lounge with TAB facilities in addition to a dedicated poker lounge. 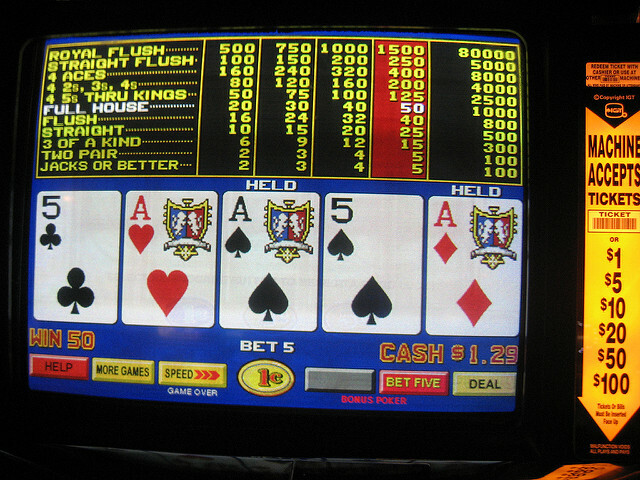 In addition to poker, games offered at the casino include blackjack, baccarat and roulette. The casino has no license to operate electronic gaming machines (or ‘Pokies’). Despite many attempts at lobbying the authorities to reconsider this, the decision stands in order to protect those clubs in the city that do have EGM licenses. There is a rumour that the casino has come to an agreement with the federal government to obtain 200 licenses for poker machines in exchange for a major redevelopment of the venue. Though this would not increase the number of EGMs in Canberra (licenses would need to be purchased from other holders to remain under the city’s ‘cap’) there is no confirmation of if and when this will happen. The casino is open daily from midday to 4am. Horse racing in Canberra can be dated back to the predecessor to Thoroughbred Park, Acton Racecourse. The course was submerged when the lake around Springbank Island was created in 1963. Racing was held on the site from 1921, prior to which the settlement of Canberra enjoyed bush race meetings only. When we say Thoroughbred Park is the only place to be, it really is the ONLY place to be when it comes to horse racing in Canberra. Image via website. A 1.815km race course based 10 minutes to the north of Canberra CBD, Thoroughbred Park is the city’s only horse racing track. Set in 15 acres of a lush nature reserve, Thoroughbred Park was redeveloped in 2007 and now boasts excellent function rooms. Corporate hospitality space includes the Winning Post Bar, the Black Opal Room and the Betting Ring. Full TAB facilities are available on site. The course hosts the prestigious events of the Canberra Cup and the Black Opal Stakes; both held on the same day in March. Locally and nationally popular the course entertains sell-out crowds with general admission tickets costing $25. General race days are held on Fridays but the course doesn’t hold weekly racing (check the race calendar for details). Harness racing is fast paced and exciting to watch. For some, it is the ultimate gambling in Canberra. Image via Facebook. 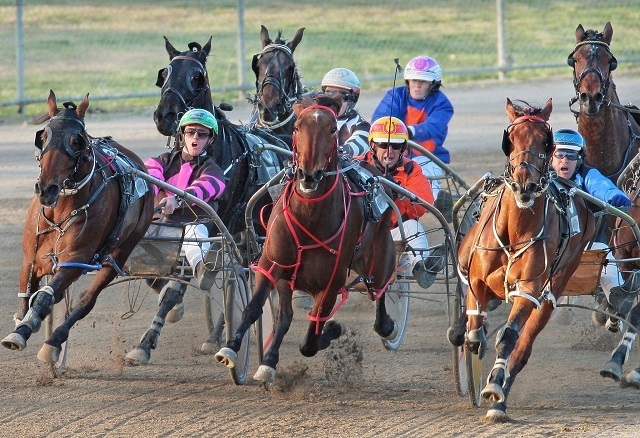 For some horse racing of a different variety you can head to Mitchell for some harness racing. This sport is quite popular for spectating and offers some good wagering opportunities as well. Event dates vary but you can find details of upcoming meets via the Harness Club website. For the moment, greyhound racing in Australia is legal but a new ban, due to be introduced in May 2018, will mean Canberra could see its dog racing industry closed down. 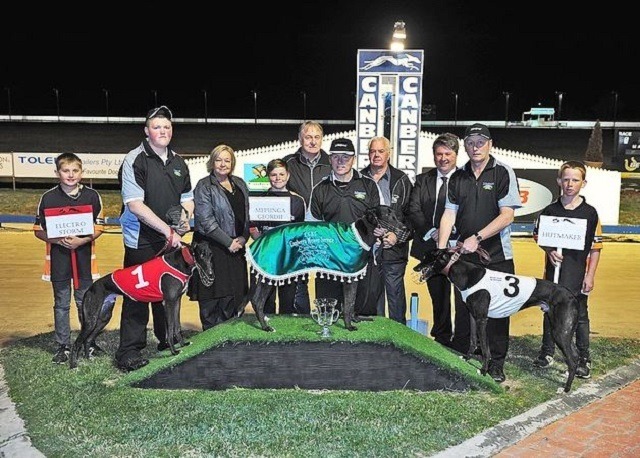 ACT based owners may still continue to race their animals in other states but will need to apply for annual control licenses. Sadly, dog racing is set to become a thing of the best with the 2018 ban looming. Image via website. For your last chance to experience the thrill of live action greyhound racing you can head to the city’s only dog track in Symonston. For the time being the track will retain TAB facilities and continue with the its planned 2017/2018 calendar. Races are held on Sundays at twilight. The lotteries are a popular way for all Australians to have a punt on a regular basis and, though relative spending on the Lotto isn’t huge in Canberra, around 2 in 3 people play lotteries. The most popular lottery is the National Australian Lottery (The Oz Lotto) which holds draws on a daily basis. Jackpots vary by draw but range from an estimated $1 million to $4 million prize funds on any given draw. Tickets can be purchased online or via one of the many official retailers in the city. Instant win scratch cards are also available. Due to legislation cash poker games are not allowed in pubs and clubs within the ACT. However, you can play poker at Casino Canberra with the NPL hosting a weekly league at Hotel Queanbeyan. As we mentioned earlier, serious players head outside of the state to venues outside the borders to Sydney. The Queanbeyan Hotel is the only place you’ll find league poker in Canberra. Image via website. This Top Pub hosts poker nights with the National Poker League (NPL) each Friday afternoon and evening. Starting at 3.00pm and 7.00pm, the buy-ins are $5 and $60 respectively. Bingo is a relatively laidback affair in Canberra and though there are some clubs which run regular events there are no dedicated bingo halls. We’ve found our pick of the best places where you can play bingo with our favourite being the Canberra Labor Club. The best place in Canberra for regular bingo nights, Canberra Labor Club. Image via website. This small venue in the centre of Canberra is a members club and holds bingo six nights a week. There is a good sports bar with three projector screens and TAB facilities. They also have 282 electronic gaming machines (EGMs). Bingo prize money at the Belconnen Labor Club varies by night but specials of $1,000 are available and total cash rewards per evening are in the region of $3,000 to $5,000. Half books are $5 with full books costing $9. 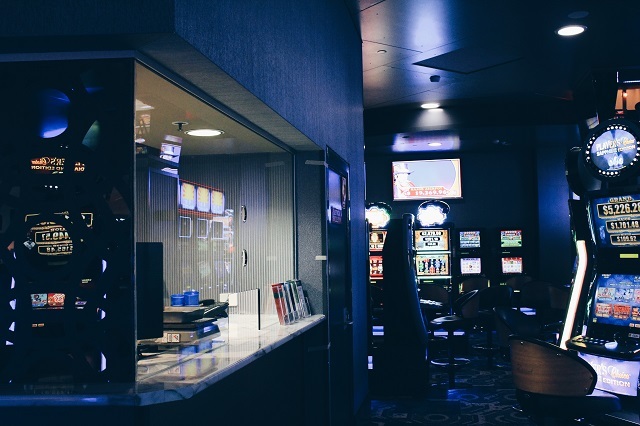 The ACT has 4,549 electronic gaming machines (EGMs) in operation which is a huge figure when you consider that Western Australia has 2,100. Per capita, the ACT has the most EGMS in Australia; three times as many than Victoria and 15 times more than Western Australia. The ACT even has more pokies per person that New South Wales which has almost as many EGMS as Las Vegas. In theory the ACT runs a ‘community gaming model’ whereby poker machines are licensed under ‘not-for-profit’ legislation. According to recent statistics, ACT clubs donated around $12.7 million to community programs in the last 12 months. Mostly the profits are recycled in the clubs own social expenditure which is why EGMS can be found in community, sports and social clubs. A lot of clubs have gaming lounges with dozens (if not hundreds) of EGMs. Image via Hellenic Club. Many of the social clubs in Canberra have TAB facilities in addition to a sports bar. Some offer animated Trackside TAB racing and Keno as well as having EGMs. Get a drink with your punt at these sports bars. Image via The Tradies.